I generally do not believe that books, especially poetry books, require an introduction. I make an exception here because there is a genuine break between the poetry I wrote from 1964 until 2007 and the poetry contained in this volume. My wife, Gilda Mekler, died on February 7, 2007. Four months later (on June 5th of that year) I wrote the firs poem collected here. When Gilda died very shortly after her fifty-third birthday, I thought I would also die. Readers will note that this feeling informs several of the poems that follow. A few months later, my grief entered its second phase. When it appeared that I was not going to die, I passionately wanted to die, I longed for my days of sorrow to end. Eventually, this led to a third and quite shocking phase of what might be called the death experience: the realization that I had, in fact, died with Gilda on February 7th. Our lives ended together. The Creator, however, had other plans for me, and the James Deahl who has written poetry and prose since that date, is a very different writer from the James Deahl who had written and published poetry for over four decades. I retain all the memories of that other poet, and I live in his body. And like him, I also labour in God’s vineyard, as Czesław Miłosz put it so well. Using the same name, I continue the work our Creator set out for us when that other writer was born following the close of World War II. by my friend and fellow poet, Allan Briesmaster, through his Aeolus House in 2008. This chapbook was my first writing since my death and rebirth. The present volume closes with a handful of love poems written during the latter half of 2010 to an outstanding novelist and poet, Norma West Linder, who has, perhaps rashly, consented to join her life to mine. Between the Gilda poems of 2007 and the Norma poems of late 2010 lie several meditations on mortality. During this four-year period, a number of my friends died. This had, of course, been happening for quite some time, but their deaths had not been at the front of my mind. Many of these friends were younger than I was. After my wife died, I became keenly interested in the connection between love and death. And I questioned the passionate relationship between human joy and agony on the one hand and, on the other hand, Divine love. I also took a deeper look at the theology of the Christian faith and the teachings of the Torah. I believe this activity is common, if not universal, among people who have already died once and know they will die again. Confronting death tends to clear the mind of all trivial concerns. Throughout this process, the writings of Father Thomas Merton were, and continue to be, my constant guide and companion. As this good priest has written, we should seek solace in God’s love. No one knows my failings better than I do. I don’t propose to rehearse them here. Yet despite being a sinful and undeserving man, somehow — and I’m not sure how — I continue to live and enjoy all the beauty of this physical realm. I write, edit, translate, and do the work set out before me. I continue to love my three daughters and my granddaughter, and I love and honour my Norma and strive to be the man she deserves. All these and more are unexpected, and unearned, gifts. Clearly the bounty of our Creator’s grace and compassion passes all understanding. 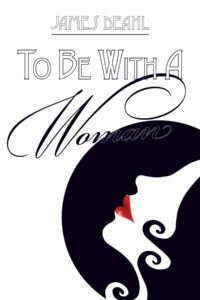 READ SAMPLES OF TO BE WITH A WOMAN HERE. This entry was posted in 2016, Book, James Deahl, Merchandise, To Be With A Woman and tagged Canadian poetry, death, James Deahl, love, lummox press, poetry collections, senior poetry on August 25, 2016 by bookdog.